Set up in 1988 by founder John Hall, Goose Island is now one of America’s most popular craft breweries. Inspired by Hall’s travels of Europe, through which he managed to experience some incredible tasting beers from the continent, Chicago was eventually the city chosen as a base for the brewery: a city that was at the time an ideal start with plenty of rapidly evolving tastes. Chicago is also home to the largest fresh water system on the planet. 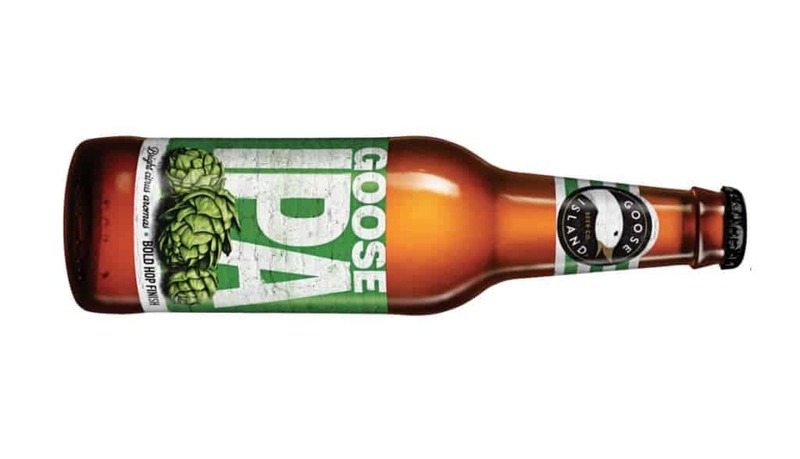 Heavily influenced by classic British India Pale Ale, Goose Island’s benchmark Goose IPA pays homage to the massively hopped beers that were Originally sent from England to India. When poured Goose IPA’s golden body is topped with a foaming white head with fair retention, underneath which is some visible carbonation. On the nose, the hop body is very prominent, with notes of tropical fruits such as mango and passion fruit joined by citric aromas of grapefruit, some biscuit malt, and pine. On the palate, moreover, this is a very classic example of IPA, with a very small malt sweetness profile that’s overridden by further citrus notes and a resplendent hop bitterness that continues into an almost aggressive hoppy finish. Further information on Goose Island Beer Company and their stockists can be found at gooseisland.com.